Video format converter to change video formats with super fast speed and no quality loss. A video format is a file format that stores videos in a digital format. 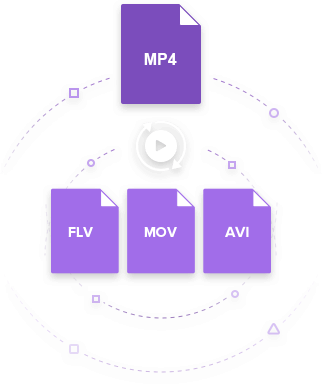 Video formats are compressed files containing information on the audio and visual content of a video. The format file type consists of a container, which hosts both the video coding format and the audio coding format separately. In addition to coding formats, the file type will contain additional information like subtitles. Each format has its purposes, for example, WebM is used to create royalty-free HTML-5 videos. Thus, you need video file converters to change video formats for different using purpose. So if you are looking for some free or online video format converters, you are on the right page. If you want to change video formats on the fly, then you need video converter software built specifically for this purpose. Wondershare UniConverter (originally Wondershare Video Converter Ultimate) is the perfect software which can convert videos of any format. It's the best video format converter for both Windows and Mac. This software can help you convert videos to any format with super fast converting speed and full quality output. 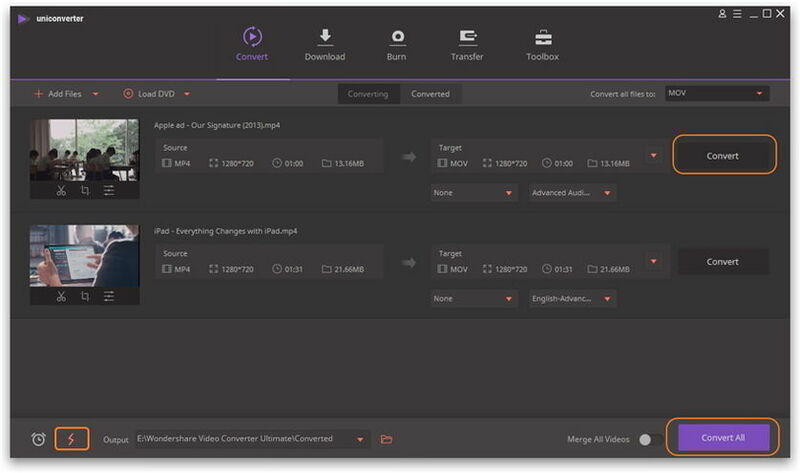 Wondershare UniConverter (originally Wondershare Video Converter Ultimate) has many additional functions to help you handle your videos better, including edit videos, fix video metadata, burning videos to DVD, and more others. Best video format converter to change video formats easily and quickly. Support 1,000+ video formats including MP4/AVI/MKV/WMV/MOV/MPEG and more others. Download videos from 10,000+ video sharing sites by simply pasting URLs. Edit videos with cropping, trimming, rotating, adding watermarks, applying effects, and other features. Transfer videos from computer to mobile devices with a USB cable. Versatile toolbox with functions of Fix Media Metadata, GIF Maker, Cast to TV, VR Converter, Screen recorder, etc. To add videos to Wondershare video format converter, download and install it on your PC/Mac first. Go to the Convert section after launch, click on + Add Files button at the top-left corner. You will get a dialog box to select the files you want to convert. Now, you can choose the video output format of your choice. Click on the drop-down icon at the top-right corner of the window, which is noted as Convert all files to:. Click the Video tab from the drop-down list and select a video format you want. It allows you to convert videos to device supported formats directly, just click the Device tab. You have the option to edit the videos before changing format. Click the icons on the video thumbnail and you can crop, trim, rotate videos, and add watermarks or effects. You can skip this step if you don't want to make any editing. Once you are happy with the final video, click on the Convert All button to begin the conversion process. You can either click on Convert button in front of each video. For a super fast converting speed, tap on the lightning-like icon. Wondershare UniConverter (originally Wondershare Video Converter Ultimate) is the best choice for video format converters as it carries a price for its services. 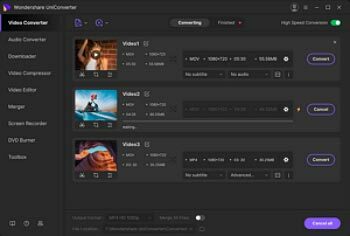 So are there any other platforms like Wondershare that can perform video conversion process for free of cost? Sure! Wondershare Free Video Converter is such a free video format converter which has same functions as its paid version. The only difference is that there will be a watermark on the converted videos. So if you never mind this, just download it and follow the steps below or in Part 1 to change video formats for free. 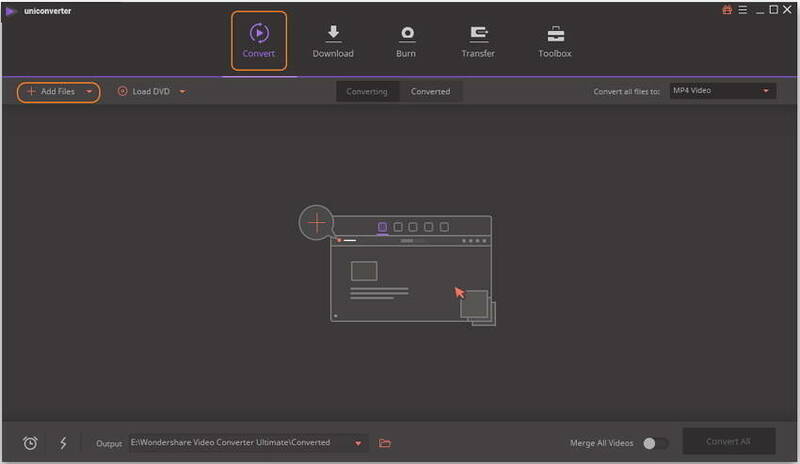 Step 1: Download, install and launch Wondershare Free Video Converter on your PC/Mac, then add videos you want to convert by clicking the Add Files button under the Convert tab. Step 2: Choose a video output format you like from the Convert all files to: drop-down list. Most popular video formats like MP4/MOV/AVI/MKV are provided here. Step 3: Start changing video formats by clicking the Convert All button on the screen. 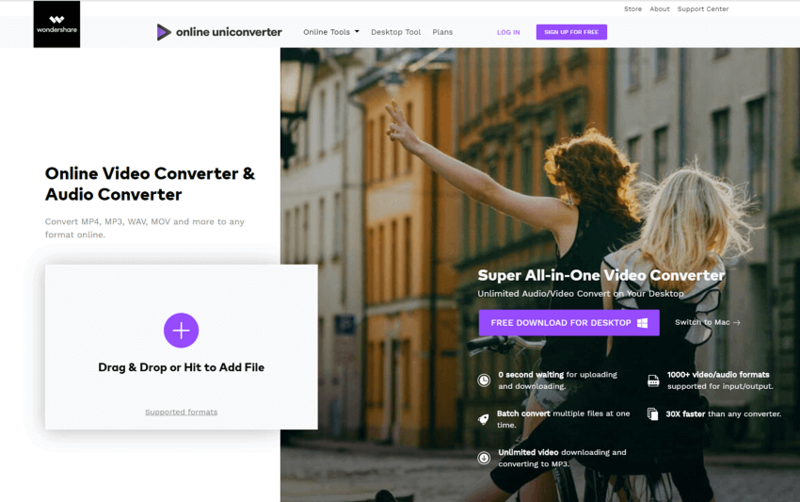 There are plenty of high-quality online video format converters available, however, the most recommended one is Online UniConverter (originally Media.io). It's an onlie file converter which allows you to convert video formats online and totally free, you can upload a maximum of 100MB of data split between up to 2 different files. Unlike Wondershare UniConverter (originally Wondershare Video Converter Ultimate), it only supports some popular video formats such as MP4, MOV, AVI, etc. But it has a super fast converting speed and high-quality output. Step 1: To start with, open the browser you are convenient with and enter the site: https://www.media.io. You will reach the homepage of video format conversion. Step 2: Now, add your input video files by clicking on Add your files option. A pop-up window will show on the screen from where you can select the video file and hit the Open button. Step 3: From the Convert to drop-down menu, choose Video option and you will be asked to select the video format you wish to convert to. Step 4: After the format is selected, click on the Convert button to start the conversion process. Click the Download All button to download your converted videos. Conclusion: We have discussed both valuable online and desktop video format converters in this article. As the limitation of online converters and watermarks on free video converters, maybe Wondershare UniConverter (originally Wondershare Video Converter Ultimate) is your best choice. Free download and try it on your computer to change video formats easily.